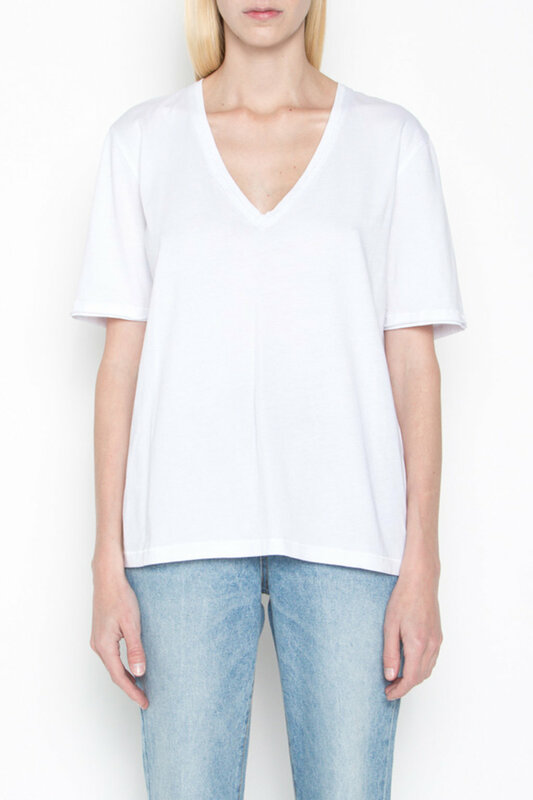 An easy to wear basic, this cotton t-shirt is crafted with small details that bring a minimal look together. 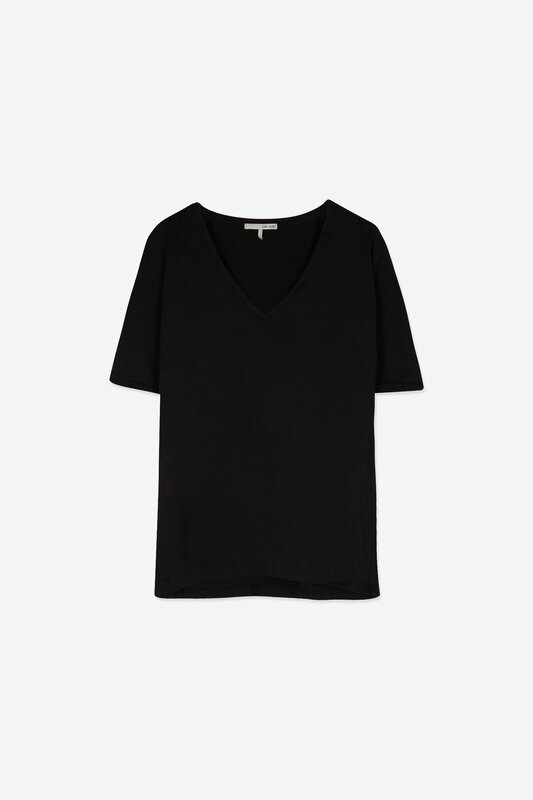 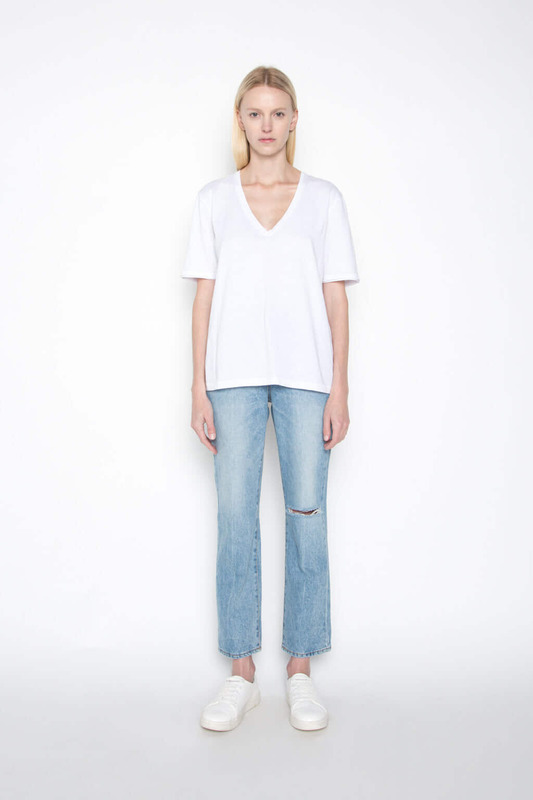 Soft to touch, it features a v-neck silhouette, unfinished rolled hem, and a comfortable feel. 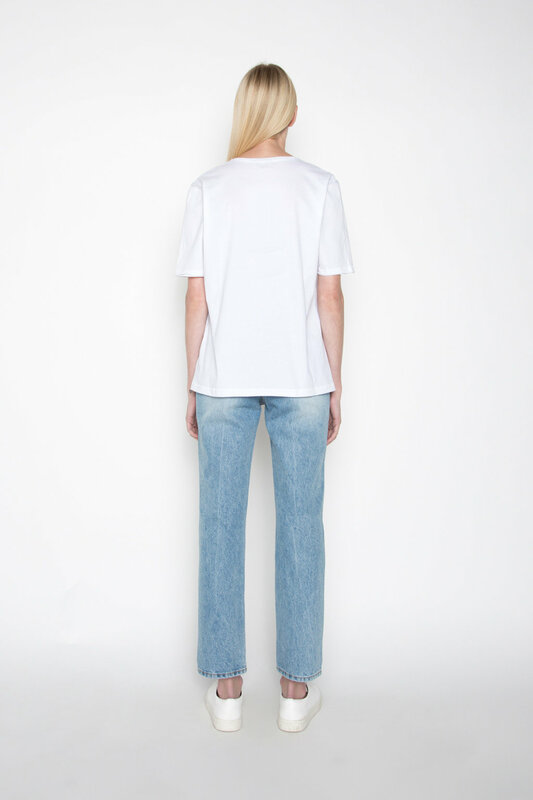 Style under a spring coat for a layered look.